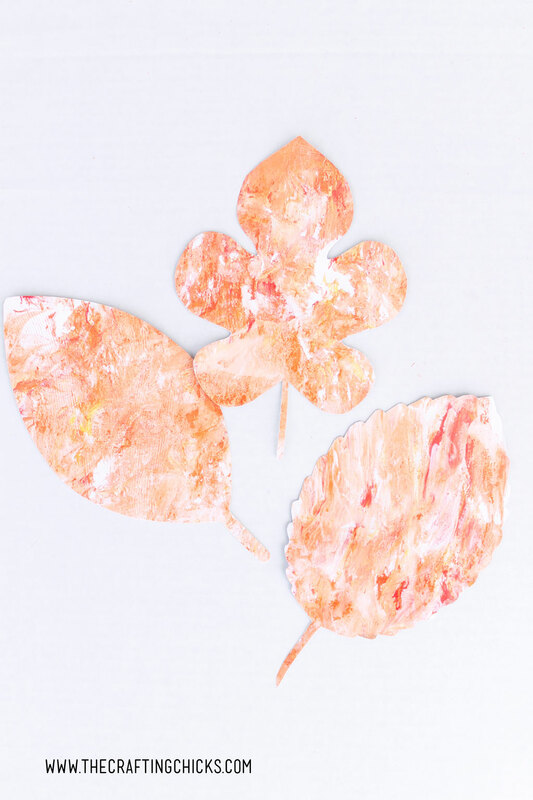 Looking for the perfect kids craft to celebrate Autumn? 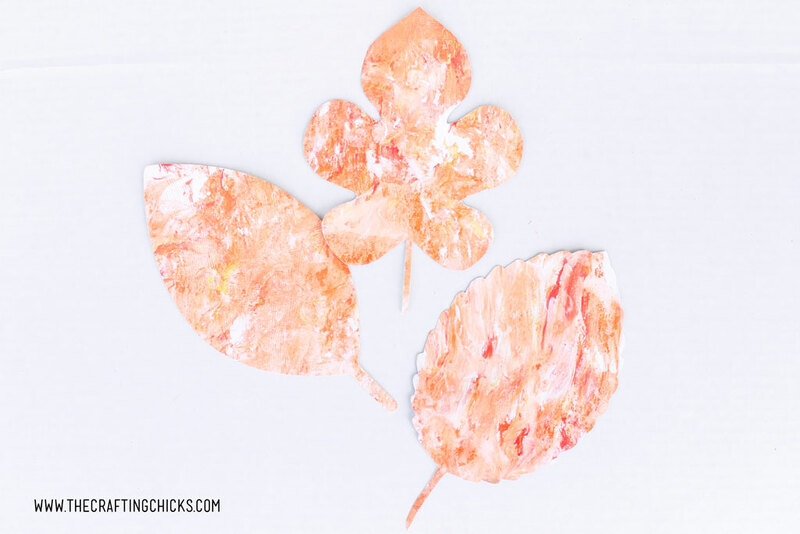 These Shaving Cream Fall Leaves are a fun and easy craft for kids that will get them using motor skills. I love creating fun crafts with my kids. Sometimes it seems like I need ideas past crayons and glue. 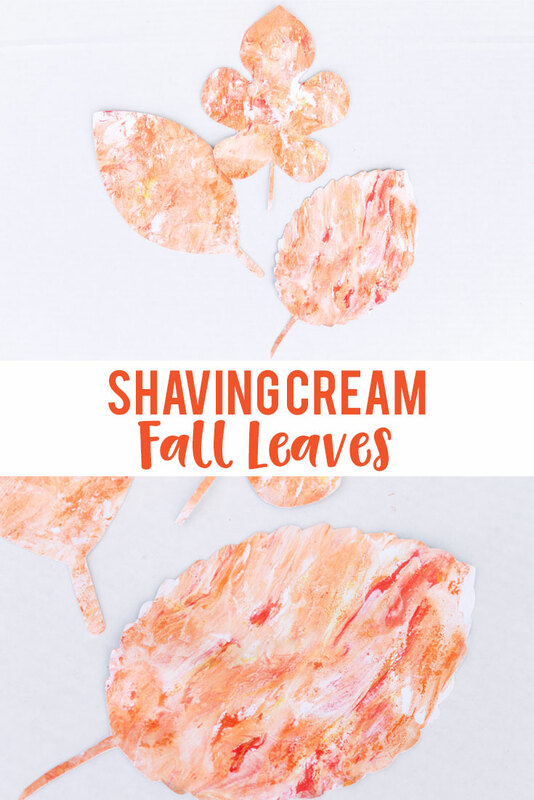 If you are in the same boat, these Shaving Cream Fall Leaves are the perfect craft and activity for you and your kiddos. Fall colored paints. We used a bunch of different yellows, oranges, and a red. 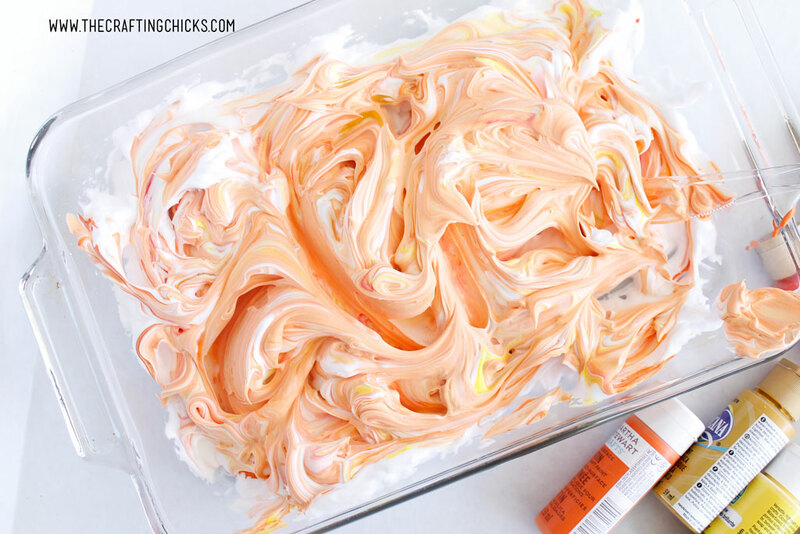 Start by spraying a layer of shaving cream into a 9×13 baking dish. You could use a glass dish like I did, or you could get a throw away foil pan. Either way works. Now add in some paint colors of your choosing. I wanted to have all sorts of color in these leaves so we used a few different yellows and oranges. But I couldn’t leave red out! 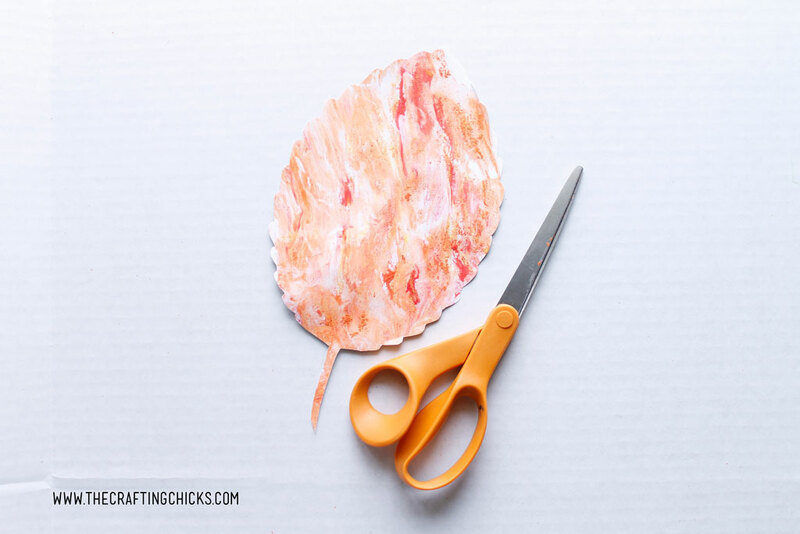 Take a plastic knife and start to run it through the shaving cream, swirling all the paint colors together gently. You don’t want to mix them up, but just move them around. Mine kinda all went a little more orange than I anticipated, but they still turned out so pretty. 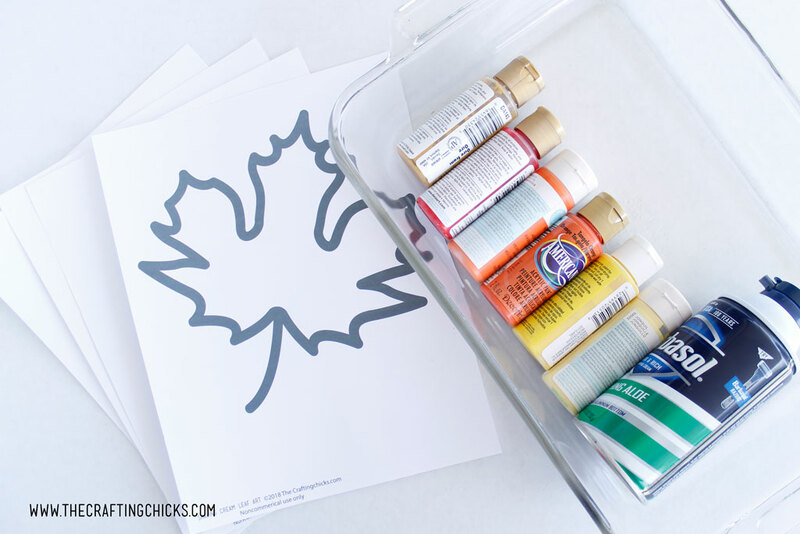 Print off the free leave printables on cardstock. 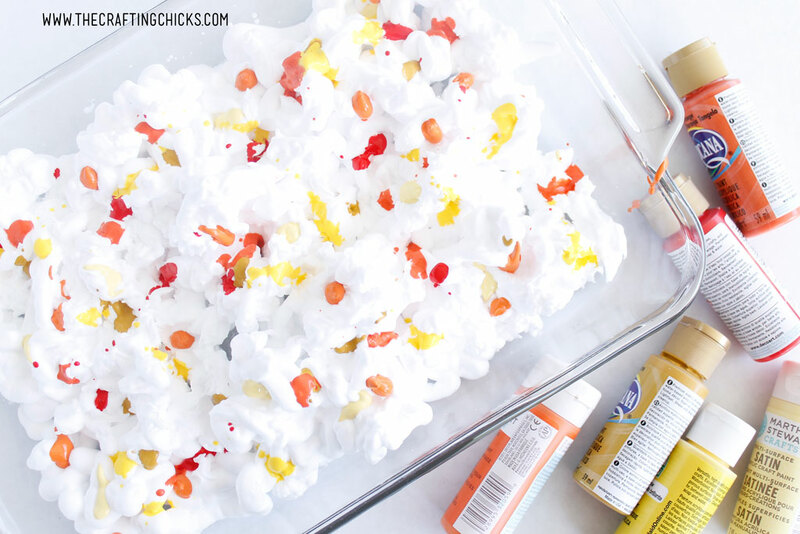 Place the printable into the shaving cream and paint mixture. You can place it print side up or down. I tried both ways and they both worked. Gently press the paper into the shaving cream. Then pull the paper up. I tried to remove a little of the excess shaving cream from the paper with the plastic knife. Set the paper aside to dry. We let ours dry over night. 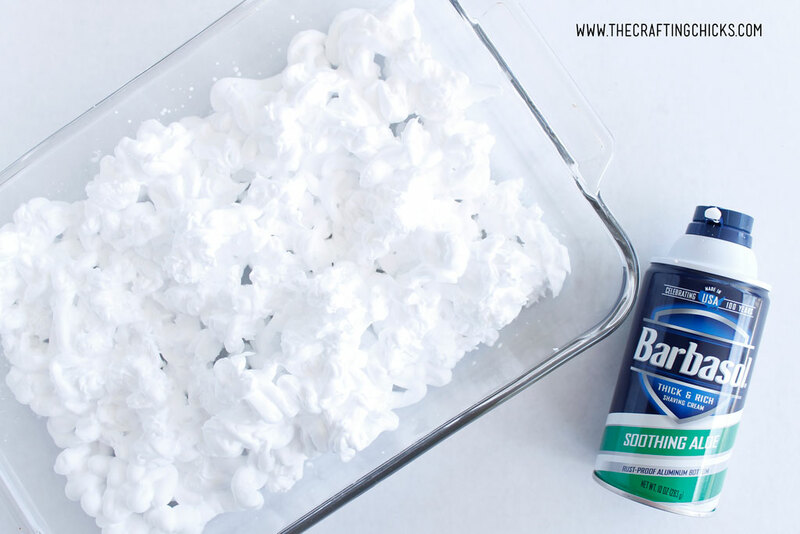 Once your Shaving Cream Fall leaves are dry, you need to cut them out. 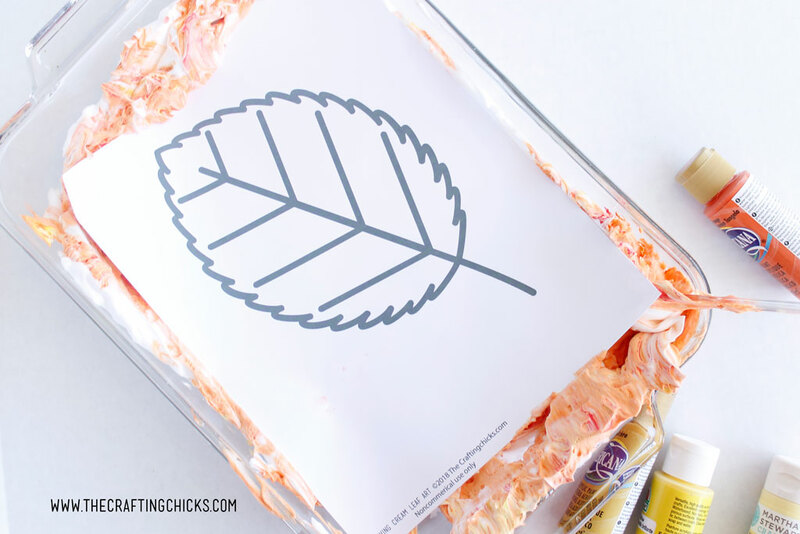 On and before I forget, here is the Free Leaves Printable. 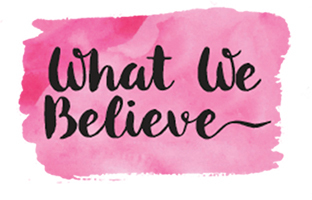 All Printables on The Crafting Chicks are for personal noncommercial use. This project is perfect for preschool, joy school or just a rainy day activity for your kids.